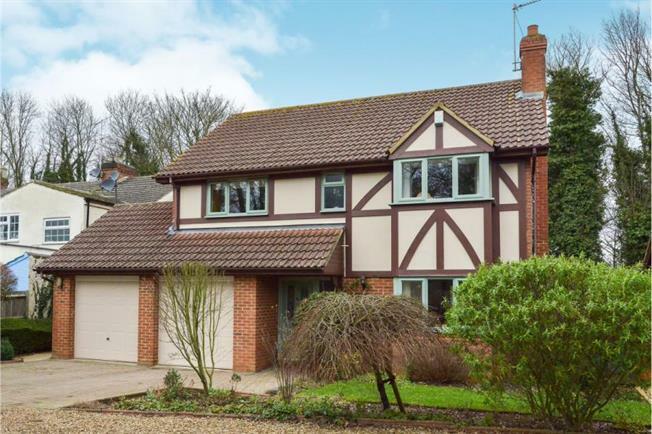 4 Bedroom Detached House For Sale in Milton Keynes for Asking Price £450,000. Situated on a private lane and within walking distance to the Grand Union Canal and the Bradwell Windmill dating back to 1805. Bradville is situated to the North West of Milton Keynes. The area is fairly self-contained with its own churches and chapels, shops and pubs and is within a short distance of the beautiful parkland of Ouse Valley Park with its riverside walks and the Grand Union Canal running through it. Nearby Wolverton provides good shopping facilities. Accommodation comprises of: Entrance hall, bay fronted lounge, dining room, kitchen, sun lounge, Utility, downstairs cloakroom, first floor landing, master bedroom with en suite, three further bedrooms and family bathroom. Benefits include Upvc double glazing, gas to radiator heating, front garden with driveway providing off road parking for several vehicles and in our opinion a garden which offers good level of privacy.